Halloween is drawing near and with it I created another Halloween jello idea for Kitchen Daily. 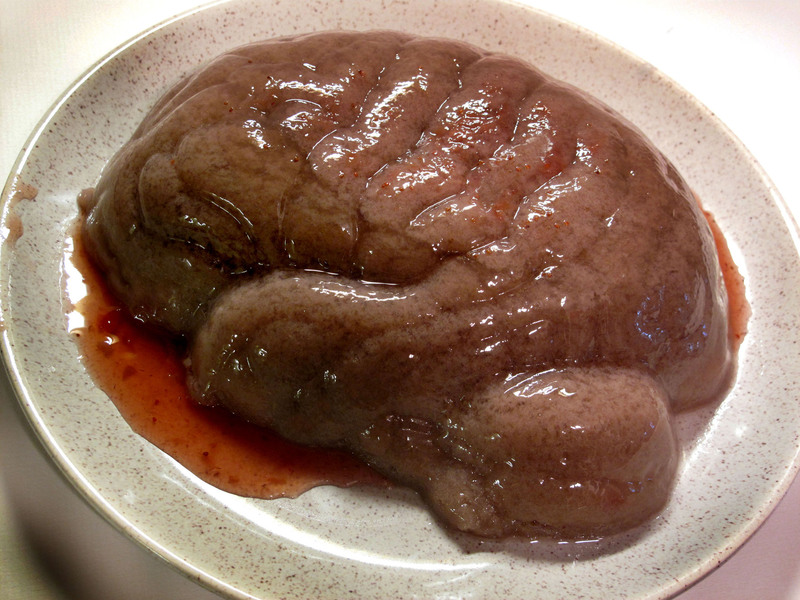 This strawberry preserve filled brain is sure to scare little kids and gross out adults at your Halloween bash. Not to fear, this creamy peach flavored jello mold tastes much better than it looks and is easy to create. Click to read the full article and learn how to make your own at KitchenDaily.com.